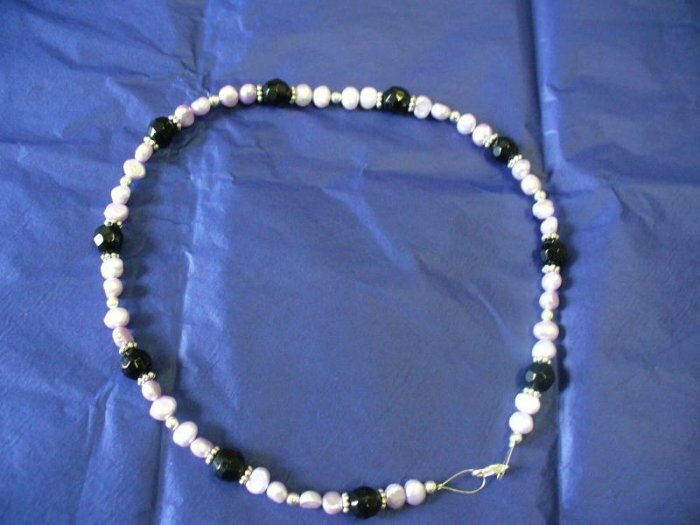 This bright, cheerful pastel mock-choker is offset by deep, dramatic black beads, good for any occasion. Made from cultured Freshwater Pearls. 18" long with a strong metal chord.